The sale by NC State of Hoffman Forest has rubbed plenty of folks the wrong way. The proposed sale of its 79,000 acres for $150M to an Illinois agri-company looks to change the primary management of the land from forestry to something else. While this is troubling news itself, it’s not my intent here to get into the politics behind the pros and cons of the sale. What came up recently, however, is with the recent management of the forest and its impact on wetlands. Historically, Hoffman Forest was a Pocosin Swamp. Pocosin’s have been described as swamps on a hill. They have organic soils overlaying sand and are found throughout the eastern part of NC. Water is slow to move in them which impedes their agriculture and forestry usage but creates unique habitats for rare plants like Venus Fly Traps, Pitcher Plants, and Atlantic White Cedar. Now if these swamps are drained, the organic soils can make for productive farming. 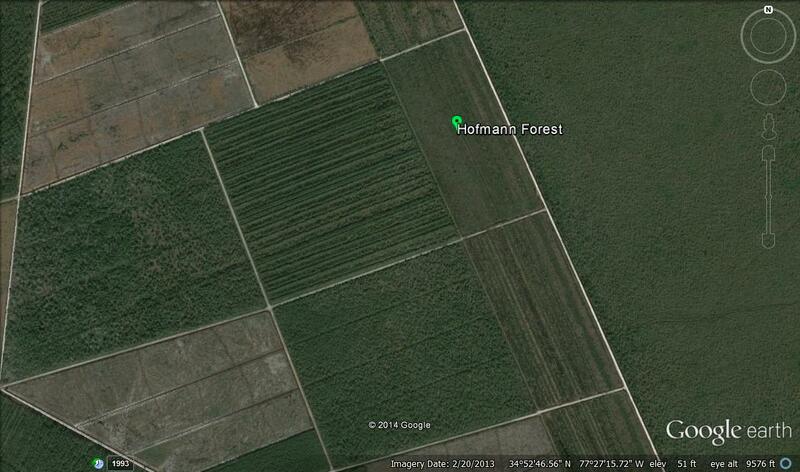 Much of Hoffman’s swamps have been drained to improve growing conditions for commercial pine production. A look at the Forest on Google Maps shows a landscape where ditches are cut into the swamps to drain water and dry out the land. Modifying hydrology is nothing new in Eastern NC, but since the mid 1990’s, the Federal Government has required permits for that activity on waters of the US and compensatory mitigation for impacts on wetlands subject to federal wetlands protection. Abundant ditching has dried up many of Hoffman’s wetlands to improve the growth industrial forest such as those for Loblolly Pine. The Army Corps is investigating whether recent ditching was legal. There is question whether this requirement was being followed by NCSU. Were the more recently drained wetlands considered waters of the U.S. and subject to federal oversight? The Army Corps is looking into it but the investigation may slow the rush to sell these lands as the legal liability needs to get sorted out. Here’s a link to the audio story. ← The Solution to Pollution?